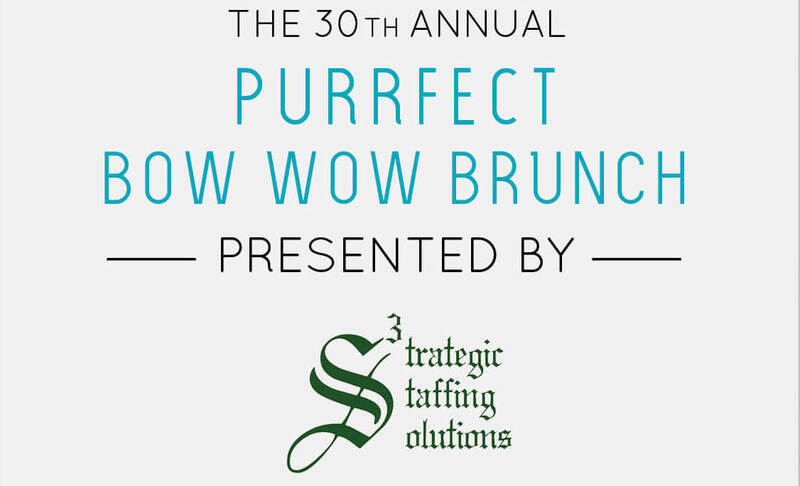 The Michigan Humane Society and Strategic Staffing Solutions present the 30th annual Purrfect Bow Wow Brunch, April 28 at Cobo Center in downtown Detroit! Enjoy a unique multi-course meal, premium open bar, silent and live auctions, and of course special appearances from MHS animals! The event is hosted by Fox 2 Detroit’s morning anchor and dog lover Amy Andrews! Tickets are on sale now at michiganhumane.org/brunch. Price includes complimentary valet parking. Interested in sponsoring the Purrfect Bow Wow Brunch? Contact Genevieve Rogalla, Advancement Manager, at 248-283-5664 or grogalla@michiganhumane.org, to discuss custom sponsor support.